Do you love a little competition? Can you count to three? If you answered ‘Yes’ to both of these questions, then this showdown is for you. 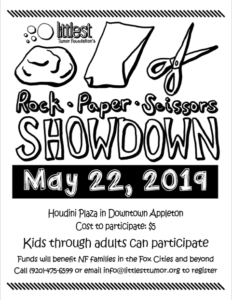 We are excited to announce our first ‘Rock, Paper, Scissors’ tournament at Houdini Plaza. All ages welcome. 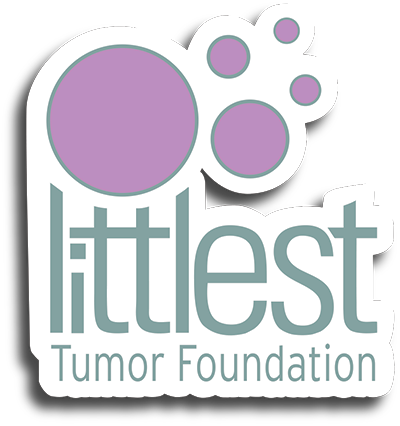 Proceeds from the event directly benefit Littlest Tumor Foundation’s impactful programs. Great fun + Great cause. This will be a double elimination tournament and be made up of GAMES, SETS, & MATCHES. 5 SETS = 1 MATCH. A SET is determined through a ‘Best of 7’, SET of games. To win the MATCH and advance, the competitor must win the ‘Best of 5’ SETS. Check-in begins at 5 pm, with play starting shortly after.